– but television coverage makes it look a lot easier than it really is. Typically, there are 150 players or so who start a tour event, but how many do we actually see on the TV? The featured groups, the leaders…in other words, the players who are holing lots of putts! Statistics can always be misleading, but over the course of a season they certainly tell a story. 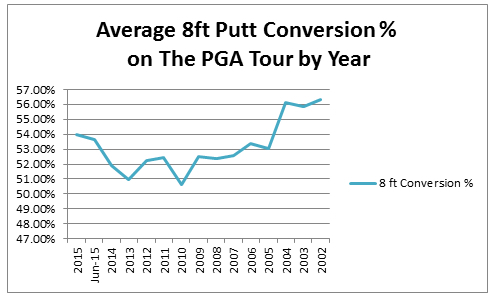 The best player on the PGA Tour last year made 65.90% from the 5-10 foot range. The player ranked 150th on the list made 52.80%. If any amateur golfer can average over 50% over the course of a season from this critical scoring range, I would very much like to meet them! 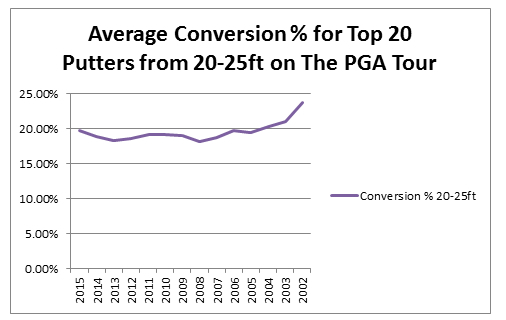 Outside 25 feet, the best player on the PGA Tour made on average 10% of his attempts. So the next time you hit a 5-iron to 30 feet be happy if you two putt, because statistically (again based on PGA Tour stats), on anything outside 25 feet you are more likely to three-putt than make a birdie! The putter is the most used club in the bag but the most overlooked in terms of time and effort we spend practising. Ball flight technology and video analysis has transformed teaching and club fitting but when it comes to putting most of us opt to buy a new putter rather than analyse our stroke and identify precisely what the ball is doing. Research undertaken by Quintic during (2013/2014) highlighted the dominance of face angle to be approximately 92% of the ball’s initial direction at impact, with just 8% the result of the putter path. The two measurements together determine the horizontal direction of the ball and also if there is any hook- or cutspin applied to the ball through impact. Previous published research on the subject from Dave Pelz’s Putting Bible (2000), reports that: “for a solidly struck putt the face angle determines 83 percent of the starting line while putter path direction determines 17 percent. Therefore, a square face angle is five times more important to starting putts on the chosen line than putter path.” Why the difference between the two experimental results? After brainstorming numerous ideas and concepts, the answer became clear – the golf ball itself! There was almost 20 years’ difference in golf ball R&D between the two experiments. During the year 2000 there was a significant change to dimple patterns along with new layers on the ball, all designed to make it fly further. The ground-breaking Titleist Pro V1 made its debut in Las Vegas on October 11, 2000; shortly after its introduction the Pro V1 became the most played ball on the PGA Tour, and three years later came the Pro V1x, a ball with 60 fewer dimples. The combination of a larger, firmer core, a thinner cover and 60 fewer dimples resulted in a ball that claimed to retain the same feel of the Pro V1 whilst reducing spin and increasing distance. Other manufacturers quickly followed suit, developing golf balls that essentially flew further, fuelled by the industry’s obsession to hit the ball ever further. My own (and other) research, however, suggests the development of the ball has inadvertently made it harder for us all on the putting green. 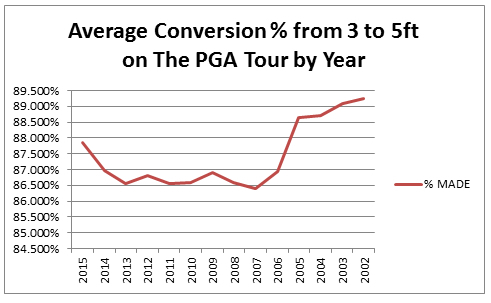 The data displayed here – courtesy of Chris Sells at www.strokeaverage.com – closely follows the introduction of the modern ball since its introduction in 2000. I don’t really believe that putting standards are getting worse on the PGA Tour, or that the coaching of putting has changed significantly. 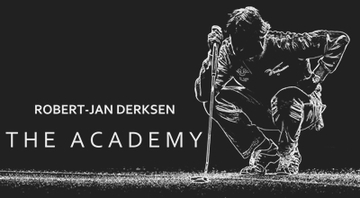 In fact, I would argue the opposite – that putting coaching has improved, the quality of greens has improved, the drills and training the players adhere to these days makes them far better equipped to hole putts! The vital question we like to ask our players is simple: “Do you know the difference between a good putt and a poor putt?” Without feedback on the launch conditions of each putt, is it possible to begin to answer this question?